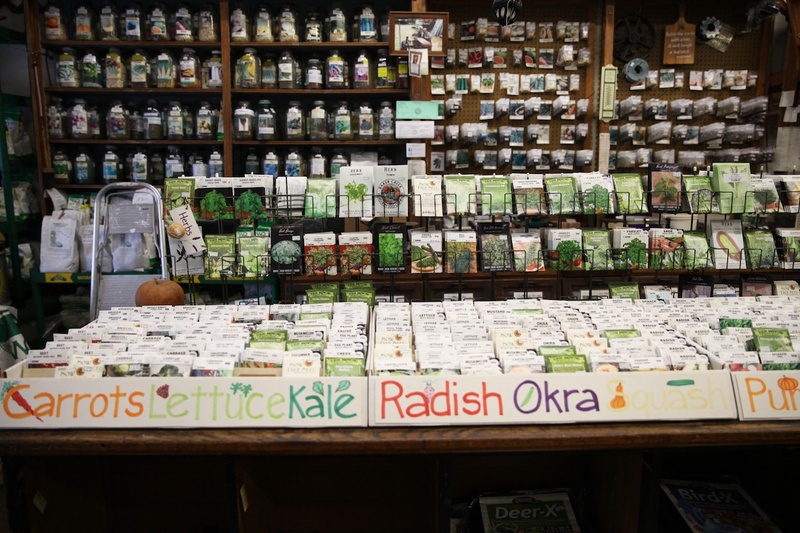 Known for its deep roots with both the farming community and urban gardeners, Renfrow Hardware is a 117 year old hardware store located in historic downtown Matthews. Established in 1900 by Thomas Jefferson "Captain" Renfrow, the family-owned general store persists as one of the most distinctive landmarks in Matthews. Today, it still operates as a functioning hardware store where visitors can find local honey, seeds, chicks and unique products as well as knowledgeable staff and resources for growers. As the local community of Charlotte has grown, the store owners have discovered that activating the online marketing outreach has helped to drive visitors and sales. Citing a snow storm event, the store manager described how they sold out of sleds in record time thanks to the combination of email and an updated homepage. With that experience of how to engage with their audience in order to grow business, the family decided to undertake a hardware store website design to better support the social media and email marketing program. Unfortunately, the business initially selected a vendor who made big promises but did not come through with results. Communication was a challenge and the client felt frustrated and ready to give up on their vision. 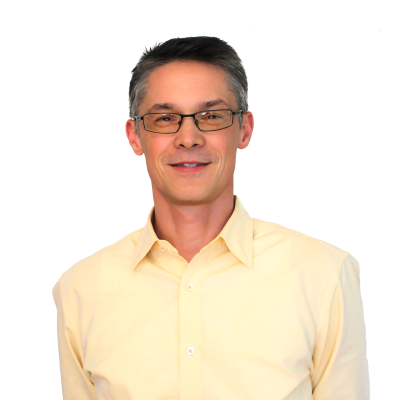 Thankfully, a trusted partner referred them to Knowmad. Grow the audience (email & social media) and reach of the Renfrow brand. Our web design team saw the opportunity to build upon the long-standing reputation of the store with a website that acts as an online tool to connect the store to its larger community. Since the physical store is a local meeting space for the community, the website needed to communicate the interpersonal relationships that are the foundation of the store. The design solution would utilize the beautiful selection of photography that was available. Following our 5-step Website Design Process, we worked closely with the client to turn their vision into a custom WordPress theme that is both user-friendly and mobile-responsive. The close collaboration ensured that we were able to complete the work in a timely manner and on-budget. 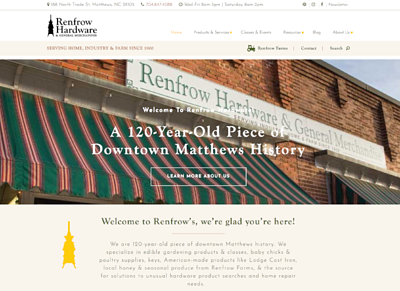 The new hardware store website design puts Renfrow’s firmly in the modern world while retaining the feel of a vintage hardware store. And, they weren't the only ones impressed by our design. 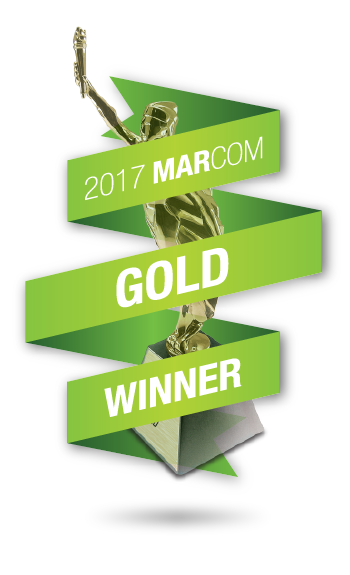 We also received a 2017 Gold Marcom award. Thinking About Re-Designing Your Website? Get started on the right path! Download Knowmad's free ebook, Website Design Project Guide, to help you get started.